Hooray! 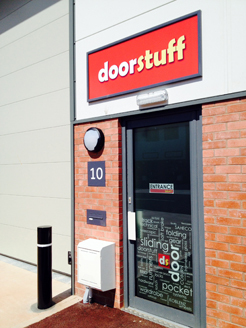 Doorstuff have finally re-located business premises a couple of miles down the road from Newton Abbot to 10 Estuary Court, Broadmeadow Industrial Estate, Teignmouth, TQ14 9FA. We’re grateful for all the kind words and support of friends, colleagues, customers and suppliers while we muddled through – but we are proud to say now: we’re in and we look forward to welcoming you to visit us! This entry was posted in accessories, digital locks, door closers, door handles, hinges, panic hardware, pocket doors, service, sliding door gear, Uncategorized, window operators and tagged doorstuff, move, Teignmouth. Bookmark the permalink.